WICHITA, Kan., May 31, 2016 /3BL Media/ – Matano has officially launched its first line of Fair Trade Certified™ sports apparel today on Kickstarter. 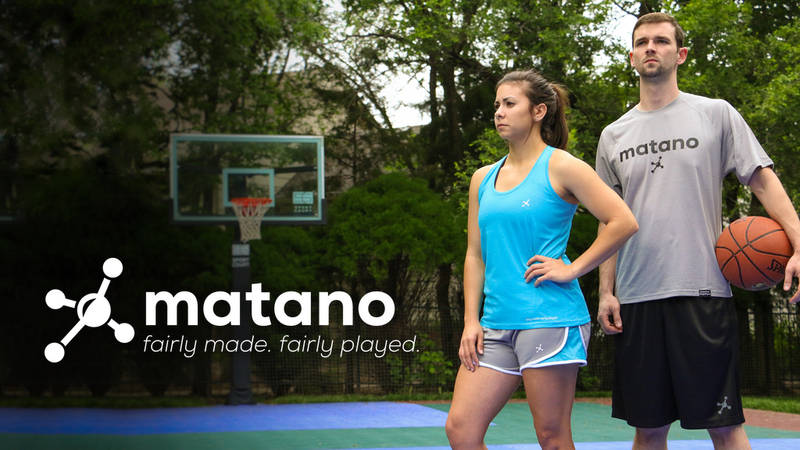 Matano is a new sports brand with a mission to provide ethically made sports gear for the “Everyday Athlete”. Through their partnership with Fair Trade USA, the leading certifier of Fair Trade products in North America, Matano is working with a Fair Trade Certified factory in India to produce their first line of high quality sports apparel. For every Fair Trade Certified product Matano orders, the company pays a premium directly into a special workers’ fund. The workers collectively decide how to spend this additional money, based on what they deem to be their community’s greatest needs: from scholarships and disaster relief funds, to medical care and transportation. Fair Trade certification also requires factories to meet rigorous social and environmental standards that protect the health and safety of workers and the environment. For example, child and forced labor and the use of dangerous chemicals are strictly prohibited. Not only has Matano committed to Fair Trade Certified sports gear, but the brand is also on a mission to “fuel a change in sports culture”. “We wanted to start a company that plays a part in making the world a better place. I was significantly inspired by this quote from Nelson Mandela that said ‘Sport has the power to change the world.’ We want to tap in to that power and positively change the world. Sports are awesome, not just for the elite professional athletes, but for you – the Everyday Athlete – and we want to empower you to change the world, even in the way you play” says Toby Kriwiel, the founder of Matano. Matano officially launched their first line of Fair Trade products today on Kickstarter. You can check out Matano’s campaign on Kickstarter at www.matano.co/kickstarter. Kickstarter is an online crowdfunding platform that helps creative projects and ideas raise funding to cover their startup costs. The products Matano is releasing for this first line include: Men’s Shirt, Men’s Shorts, Women’s Tank, and Women’s Shorts. Fair Trade USA is a nonprofit organization that promotes sustainable livelihoods for farmers and workers; protects fragile ecosystems; and builds strong, transparent supply chains through independent, third-party certification. Its trusted Fair Trade Certified™ label signifies that rigorous standards have been met in the production, trade and promotion of Fair Trade products from over 80 countries across the globe. Recognized as a leading social venture by the Clinton Global Initiative, the Skoll Foundation and Ashoka, Fair Trade USA also provides critical capacity-building programs at origin, and educates consumers about the power of their purchase. Visit www.FairTradeUSA.org for more information. Matano is a new sports apparel brand “fueling a change in sports culture.” By offering Fair Trade Certified™ sports apparel designed for the “Everyday Athlete”, Matano is using the power of sports to bring people together and positively impact the world. To learn more about Matano, please check out our website at www.matano.co .